Enjoy a secluded escape with your family, group, or date in a Private Rink-Side VIP Cabana! 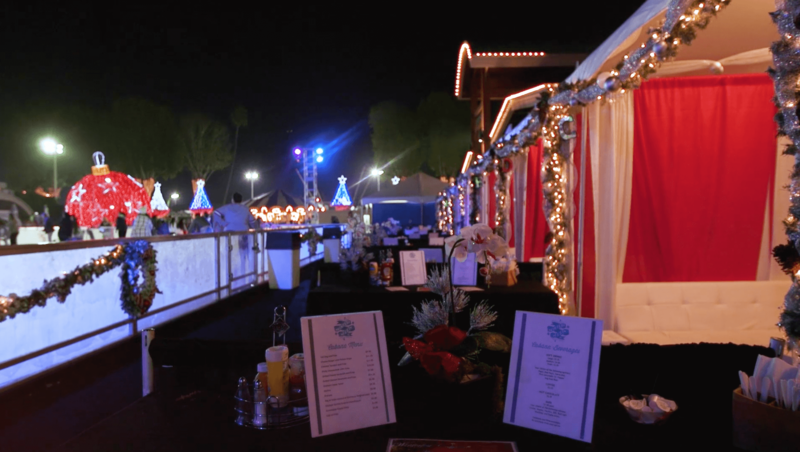 Adjacent and overlooking SoCal’s largest outdoor ice rink, the VIP Cabanas are centrally located in the middle of Winter Fest OC in the Main Mall. What’s better than enjoying the excitement of Winter Fest OC’s endless activities? Having a place to yourself to eat, relax, and invite your friends! Limited Availability – Reserve Yours Now! VIP Cabanas are perfect to celebrate any special occasion from holiday gatherings and birthday parties to a central spot for your family to meet, relax and eat or a special date night perk! Each VIP cabana accommodates up to 10 guests. Multiple cabanas can be linked to accomodate up to 150 guests and multiple sessions can be booked. Go to the ticket page and select the day you are interested in reserving a VIP cabana to see the available times for that day and night. Please email us at vip@winterfestoc.com for additional questions. *Cabana purchase does not include admission into the event. 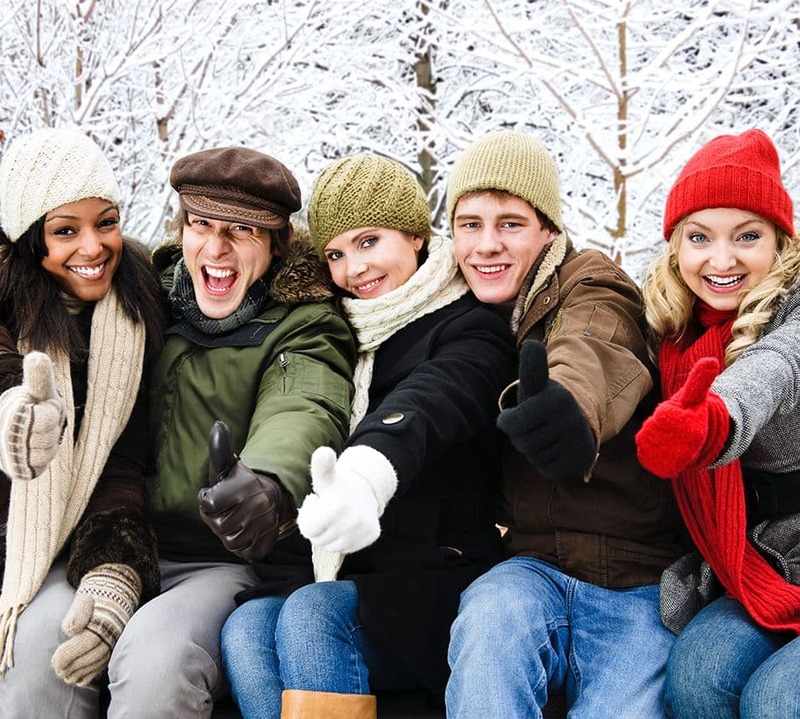 Looking for the perfect venue for a group to celebrate the holidays? Why not within a winter wonderland of fun? Winter Fest OC is the place to escape and transport yourself to a winter wonderland without ever having to travel far from home. Recreating the magic of winter with holiday food, drinks and experiences, this year’s festival offers party packages to support a range of different needs and budgets. From small gatherings to large scale parties, we have the perfect venue for every occasion. Select from VIP Rink-Side Cabanas for up to 200 guests all the way up to exhibit halls that accommodate thousands. Warm up your winter chills with some food and drinks in our Ski Lodge and soak up the unique atmosphere, holiday decor and live entertainment. The Winter Fest OC experience offers the perfect opportunity to celebrate the season in a winter wonderland of fun!